I was watching the Wellington Rugby Sevens last week when I noticed an odd flag in the crowd. 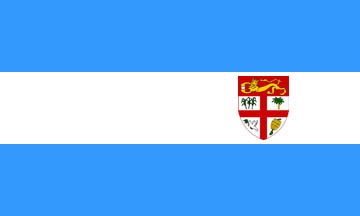 At first I though it was an Argentine flag until I noticed the Fijian arms on it. I've not heard anything about any move to change the Fijian flag, so this may simply have been a fan's one-off design.